Overview of Lifetime Recovery, Inc. 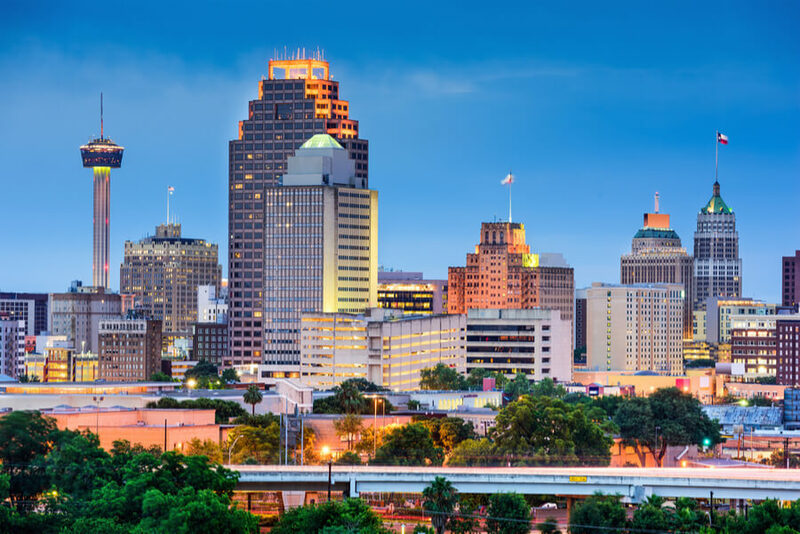 Lifetime Recovery, Inc. is a chemical dependency treatment center in San Antonio, Texas that offers outpatient and residential treatment programs. Lifetime Recovery is a nonprofit corporation that provides treatment services to men aged 18 years or older suffering from alcohol and drug addiction. The facility’s mission and philosophy is based on values such as compassion, integrity, honesty and dignity through which highest standards of service and performance are exhibited. The main campus offers the intensive residential program whereas another campus at Crossroads Blvd, San Antonio serves as the outpatient facility. Patients’ stay in the residential treatment is for minimum 30 days which can extend upto 45 or 60 days. The residential treatment and outpatient treatments are based on the 12-step process complemented with therapies such as individual therapy, group therapy, counseling and education sessions. Lifetime Recovery also offers Recovery Support Services to clients in the form of peer support, health care appointments, employment services, educational opportunities and life skills. Coaches are assigned for this task of engaging with clients during any aspect of their recovery path. Coaches are able to track progress of clients after their treatment finishes to provide them with aftercare and support, and also monitor for any sign of relapse. Lifetime Recovery, Inc. is situated on 18 acres in rural southeast Bexar County in San Antonio, Texas. The facility is spread across beautiful and peaceful landscapes that offer a therapeutic environment to clients. The rural setup offers a serene and safe environment where patients feel relaxed and stress free. This helps them focus on the positive aspects of life and assists them in the recovery process. The buildings of the facility are built in spanish-style architecture with all basic amenities offered to residents. The maximum capacity of the residential program is 94 male patients. Residential dorms are provided where patients share cubicles. Each cubicle can accommodate 3 to 4 patients. Bathrooms are also shared among patients. There is a common living room equipped with a flat screen TV. Patients are offered opportunities for recreation during their stay at the facility. This includes sports, meditation and optional chapel services. The facility has a dining area where patients are served meals three times a day. Healthy diet plans are created for patients. A number of food options are available at each meal time. Snacks and drinks are available throughout the day through vending machines. Coffee is served at breakfast. Lifetime Recovery is a drug and alcohol treatment center that offers its services to adults aged 18 and older. The residential program is specifically for males whereas the outpatient programs treat male and female patients alike. The center has been offering hope and treatment against addiction for more than 50 years now. The staff has an extensive experience in treating substance abuse issues. With time, the facility has adopted new and cutting edge therapies and treatment modalities to provide their clients with the highest standards of care. Each patient is treated with respect and dignity at Lifetime Recovery. Continuous efforts are made by the staff to make the recovery process easy for clients and consequently help them in transitioning to a healthier lifestyle. Thus, the dream of a lasting recovery from addiction is made true at Lifetime Recovery Inc.
Staff at Lifetime Recovery Inc.
David has a BA in Communications from UTSA and an MBA in Health Care Management from Our Lady of Lake University. David brings with him extensive experience in organizational management, business development, fundraising, and strategic planning. Before joining Lifetime Recovery, he worked in a number of non-profit and for profit organizations in the healthcare department for over thirty years. He has served as the Executive Director of the San Antonio Christian Dental Clinic and as Vice President and General Manager of Hope Medical Supply in San Antonio. Shirley Siler attended college on the GI Bill at Central Missouri State University. She has a vast experience in public accounting at various organizations and is proficient in management, accounting and computers. Before joining Lifetime Recovery as Lead of the business team, she served in the US Air Force as a PMEL Technician. She also served in public accounting at Eugene, Oregon and Austin, Texas. She has experience working with an accounting software development company where she acted as a consultant. Her areas of expertise included training and process improvement in non profit, governmental and semi government organizations. At Lifetime Recovery, she represents the center in trade shows and conferences where she conducts sessions on a variety of topics. Addiction Resource » Drug and Alcohol Rehabilitation Centers » Texas rehabs » San Antonio » Lifetime Recovery Inc.